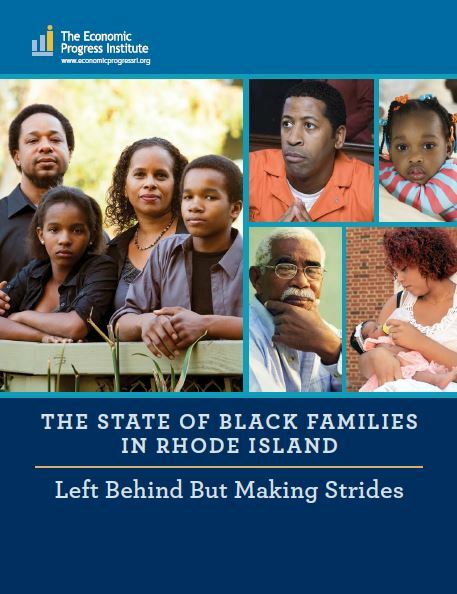 Our latest report provides details about key economic and social indicators for Black families in the Ocean State and documents the disparities with their White counterparts. Making sure all Rhode Islanders have access to good jobs that allow them to provide for themselves and their families is vital for our state’s future. 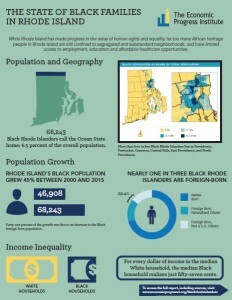 From the early days of Rhode Island’s colonization and the subsequent reliance on Black slaves for both labor and trade, through widespread displacement and asset-stripping through eminent domain via the Federal Housing Act, and the use of redlining to perpetuate racial segregation in the 20th Century, Black Rhode Islanders have been dealt an unfair hand. The historical legacy of centuries of unequal treatment manifests today across many socio-economic indicators. New immigrants to Rhode Island from Liberia, Nigeria, other African nations and the Caribbean may have different experiences than native born African Americans, yet still be subject to the similar prejudices and barriers that have held back the native born population. This report shines a bright light on these continued disparities, laying the foundation for a concerted public policy response to redress historical wrongs through proactive public policy solutions. To order hard copies of the report please contact us via email!